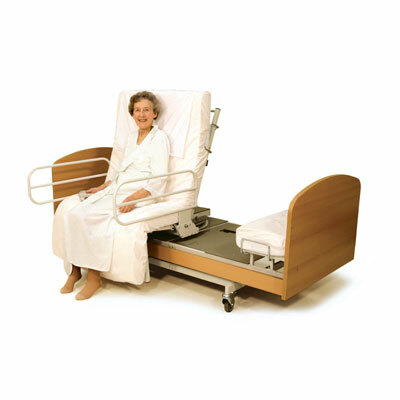 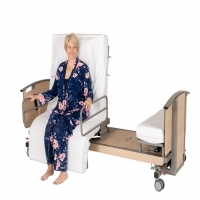 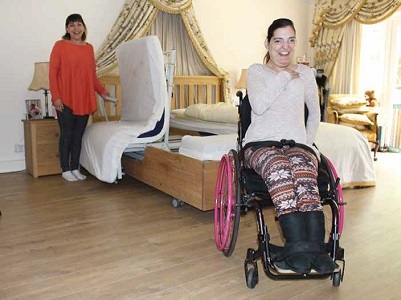 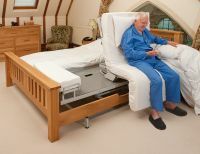 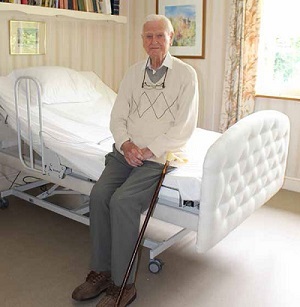 Listed here are beds which transform from a fully flat bed and rotate 90 degrees while raising to an upright seated position to assist users with getting in and out of bed. 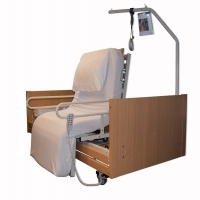 The rotation may be manual or electrically controlled via a hand control. 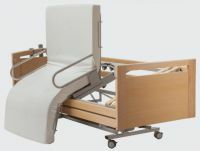 The mattresses for profiling beds are either foam, latex or sprung, but should be designed to profile with the bed platform. 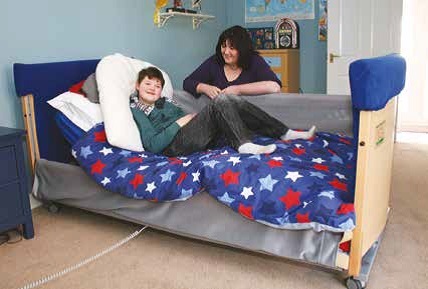 Thus you should consult with the bed's manufacturer if the mattress needs to be replaced at any stage.